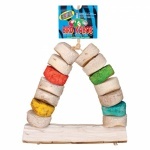 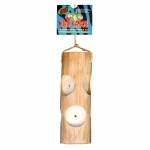 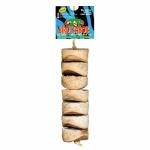 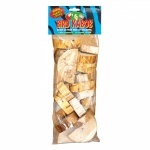 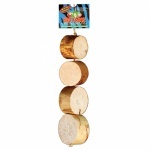 Bird Kabobs are made from natural Yucca wood - soft and fiberous and ideal for birds to chew! 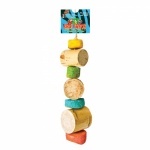 100% biodegradable, sustainable and earth friendly. 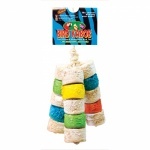 Suitable for all parrots, parakeets and budgies. 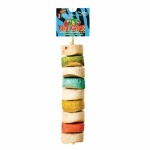 Kabobs are great fun for any parrot that likes to chew and shred. 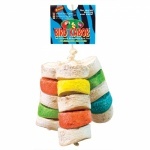 The smaller kabobs are great for parakeets or parrots that are a bit reluctant to try new toys, while the larger kabobs such as the Ole are ideal for larger parrots and seasoned chewers!